Match Naked light bulb cage lampshade Diamond Black colored metal with one of our E26 Socket with ferrules and one of our 120 colors of fabric covered electrical cables: you will obtain a perfect lighting installation for your living room, kitchen or to illuminate a bar counter or a restaurant. 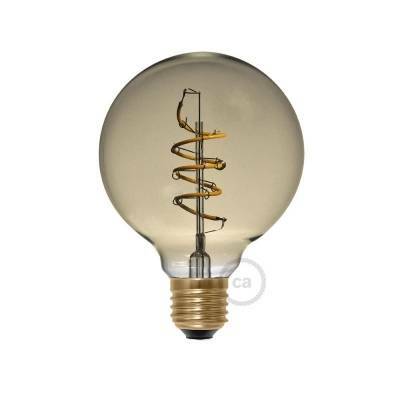 We like it partcularly with a E26 in black bakelite, possibly matching a Led filament Classic Brillance light bulb. Naked light bulb cage lampshade Diamond Black colored metal.